As a medical professional, you spend every day changing lives, and it all starts with a healing hand. Maintain a sterile & safe environment with high-grade medical gloves designed to prevent the spread of germs associated with blood, dirt & other waste product. 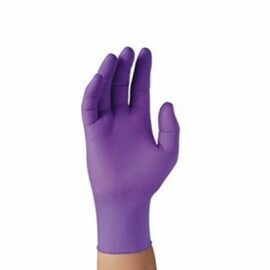 This selection of disposable gloves is tailored to meet the fast-paced atmosphere most doctors and nurses work in all day, featuring malleable materials, like rubber, latex and nitrile, to ensure easy-on and easy-off. High elasticity makes for medical gloves that fit comfortably & securely, while thick cuts keep harmful contaminants out. 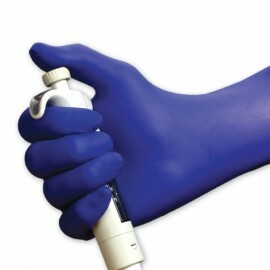 Get medical grade quality with every pair of these disposable gloves. Exam gloves with reliable protection against blood and other bodily fluids. 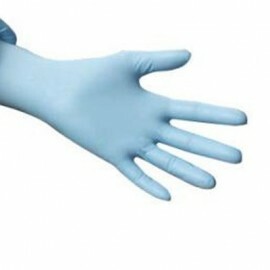 Our medical gloves are available in nitrile, latex and vinyl materials to meet your specifications. Medical grade exam gloves comply with FDA Biocompatibility Guidance for Medical Devices and are safe for use in any type of medical office, or in the field by paramedics or those in sports medicine. They are even used at the dentist, veterinary and dermatology offices. These medical gloves are available in various thicknesses and cuff sizes to meet your specific application needs. Latex Gloves - comes in powder or powder-free styles for those with latex allergies. 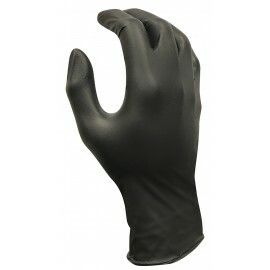 These gloves have excellent dexterity and offers minimal cut resistance. Disposable gloves in various thicknesses and cuff lengths. 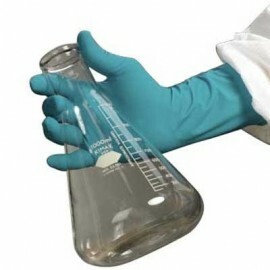 Nitrile Gloves - nitrile is a form of synthetic rubber that offers excellent resistance to liquids, oils, bodily fluids and certain chemicals. Commonly used in the medical industry and automotive repair industry. Vinyl Gloves - an economical alternative to latex and nitrile gloves, disposable vinyl gloves offer basic protection against liquids and oils. Commonly used in the medical industry. Polyethylene Gloves - FDA approved for food contact, these gloves are powder-free and very economical. Commonly found in school cafeterias, dining halls and other food service applications.